The interim manager knowledge base contains documents and links to information sources about interim management for professional interim managers and executives. Many of the documents are free to download. Some require a no-spam non-member registration. Some are reserved content for IIM accredited members. 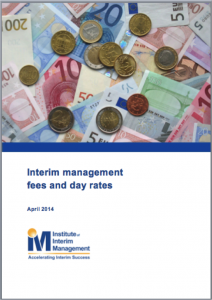 This guide to fees and day-rates addresses what to charge and how to charge it. This and other IIM guides are available to members. Please Contact us for more details.